Your body has been with you since you were born. Your body has carried you through every single bad moment in your life. Your body takes care of you even when you don’t take care of yourself. Think about it! Your body does all those things. Your body has earned your respect, your love, your kindness and your friendship by simply keeping you breathing and doing boring things that you wouldn’t want to do yourself like maintaining your body temperature and healing bruises and scars. Can you imagine how much brain power that would take? And your body does it all for you without expecting even a thanks in return! I love this photo – not because of what I look like but because my best friend took it. I hadn’t seen her in 10 days and her absence made our house feel less of a home. That’s what a best friend does. A best friend doesn’t care what you are wearing whether it’s this stunning bikini by @curvykate or the hour after when I was walking around the house naked. A best friend doesn’t care what your face looks like, whether you are bare faced and sweaty straight out of the gym like I was in this photo or all dolled up – a best friend only cares that she gets to see that face as often as possible. A best friend is who you need to be for yourself. 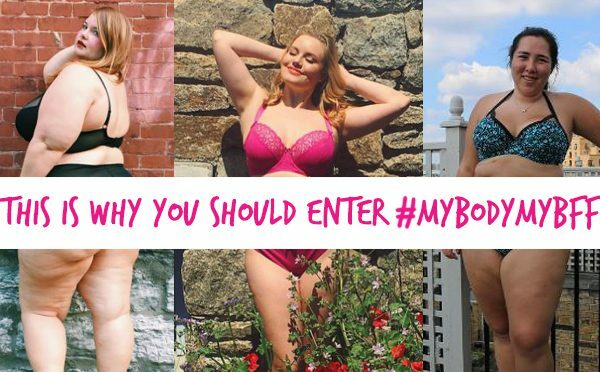 It’s why I want you to commit to making your body your BFF. It takes a commitment. A decision that you will be there for each other thick and thin. Commit to yourself today. You deserve it. Share your posts with #MyBodyMyBFF and pledge today that you are going to love yourself like a best friend would ❤?